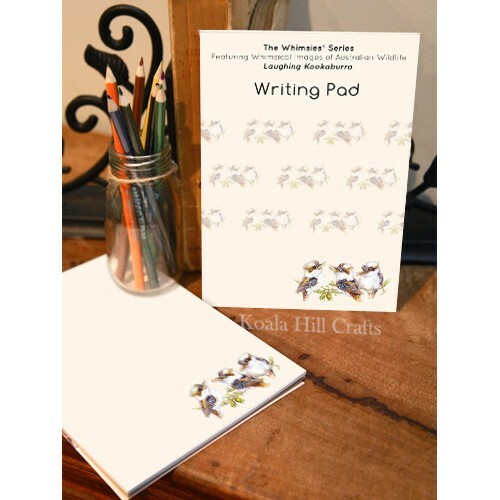 Artist Lynn Naismith created the adorable Laughing Kookaburra artwork for Whimsies Range. This image is also available in gift cards, bookmarks, gift wrap and prints. The Whimsies Series features Australian wildlife described as "whimsical" or "quirky". Quantity 1 unit, wholesale ... 6 writing pads. Each pad contains 25 coloured sheets with a cover and back. Format Artwork on the front.